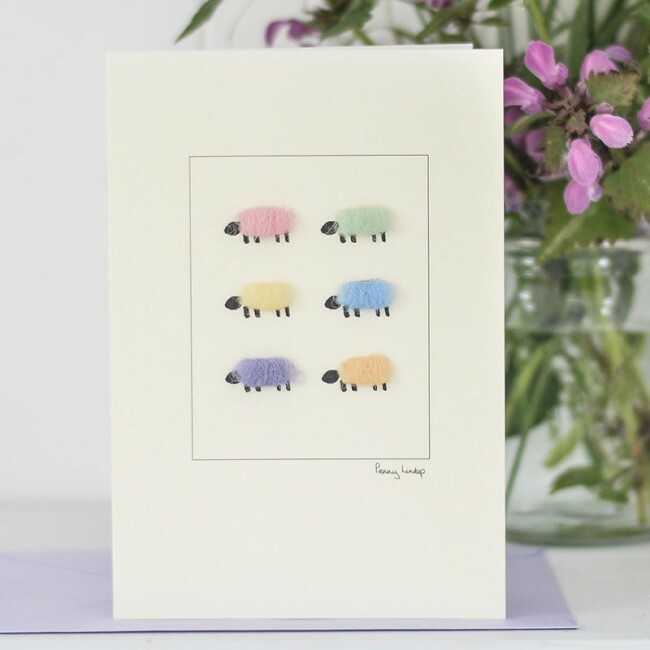 This pastel sheep card is part of a small range of cards with 6 sheep, in different colourways. 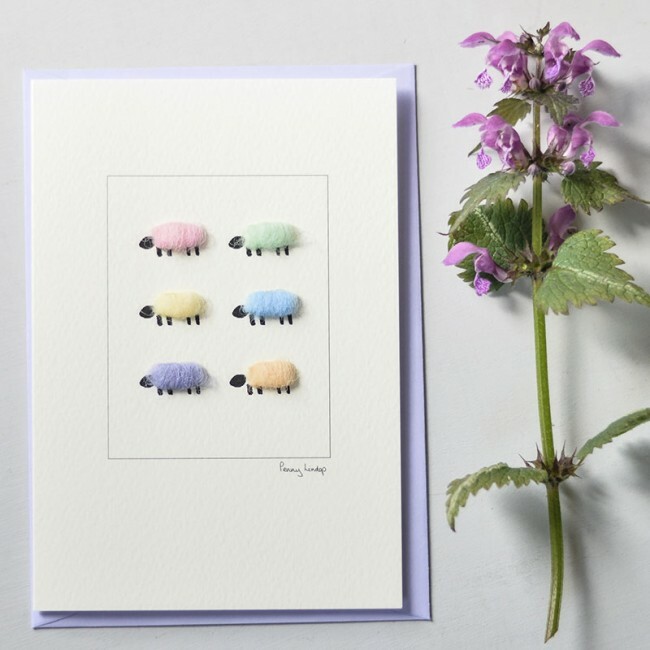 We hand finish the 6 sheep with real sheep's wool, making the card 3D and very tactile. This card always makes people smilele smile. These softer colours are very feminine, and also lovely for a new baby This is one of our oldest and most popular designs. We are very proud that we have been selling this for over 16 years, which we find quite hard to believe. We're so happy so many folk, in so many countries, love it. The card is blank inside for your own message. Supplied with a striking green envelope made from recycled paper. The card and envelope are supplied in a clear cellophane bag. This card looks beautiful mounted in a 4" x 6" photo frame. It makes a lovely little picture and reminder for the recipient. All our cards are printed in the UK on FSC certified stock.